Kristin studied in Ireland on the Limerick: University of Limerick Program during the Fall of 2015. To experience the world, it really is a small world! If I could go abroad again, I would stay for two semesters instead of one! The specific factors that influenced me to go abroad was my major (International Business) required me to study abroad, I love to travel, and because I’ve always wanted to study abroad. Being in a foreign country by myself and not knowing anyone at all. I overcame this by realizing that all of the other international students at the University were dealing with the same thing. 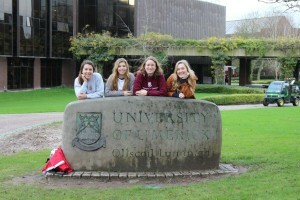 And really just by making friends with housemates and other Irish students and International students at the university. 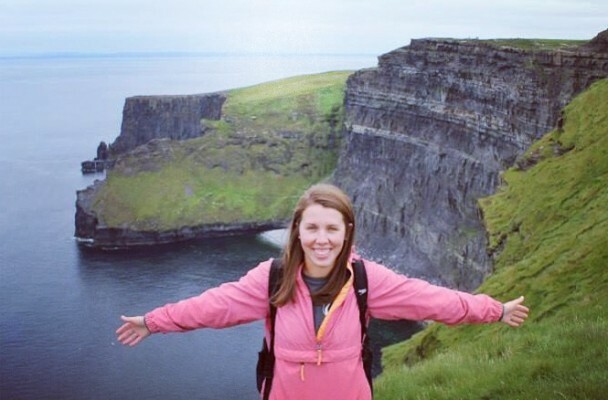 My program offered many of the classes that fit my major requirements, and Ireland was also a place that I wanted to travel, so it was the perfect fit. I think that this program also offered a lot for international students while attending the university. I’ve used the confidence that I gained abroad, with searching/applying and interviewing for internships. I did participate on a service project that involved students making Christmas boxes for children in third world countries. I think that it enhanced my experience abroad because it shows how everyone from all parts of the world is willing to help those in need. Meeting new people from around the world and having a lifelong friendships. Learning not just in the classroom but outside of it as well. Take every chance and opportunity you get while abroad. An experience I had with someone in Ireland, was learning that Americans take things too seriously sometimes. I learned that you just need to relax and let things happen the way that they are supposed to happen sometimes.